The magical, musical tale of mermaid princess Ariel — along with loveable sidekicks Sebastian and Flounder, and the love-to-hate sea witch Ursula — is shore to make a splash with all generations when it comes home for the first time Digitally in HD, 4K Ultra HDä and Movies Anywhere on February 12, 2019 and on 4K Ultra HD and Blu-ray™ on February 26, 2019. The latest installment of “Stories from Walt’s Office” compares Walt and Ariel’s love of collecting treasures. Viewers will also receive an inside look at the “The Little Mermaid” cast in their original recording sessions, explore hidden treasures and fun facts from the film, and enjoy a special performance of “Part of Your World” by a cappella singing sensation DCapella. Plus, fans will have access to hours of additional classic bonus features. 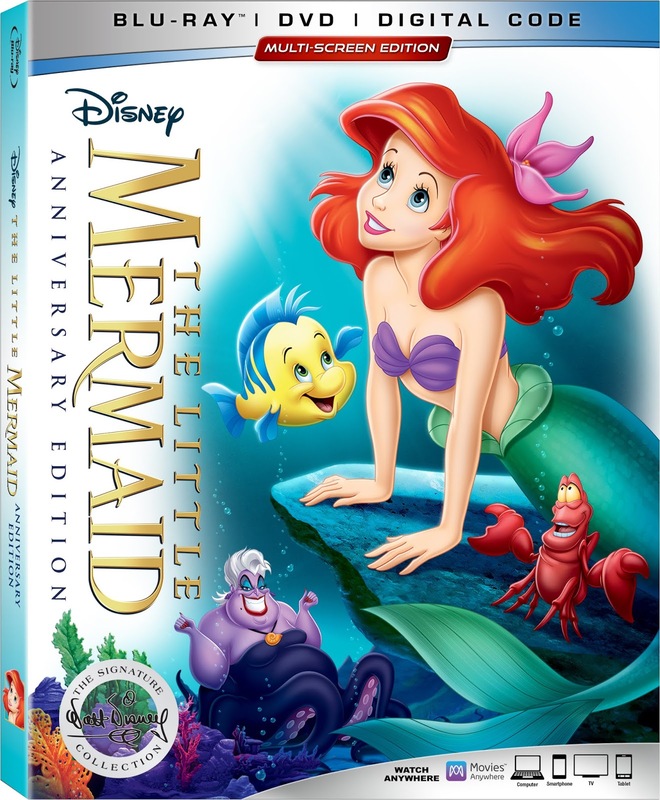 “The Little Mermaid” is the seventh title to join the Walt Disney Signature Collection, which includes groundbreaking films created or inspired by the imagination and legacy of Walt Disney, featuring timeless stories and characters that have touched generations.